Through a roving performance and actions such as eating decaying Chiquita bananas, singing Motown hooks and the popular showtune, Yankee Doodle Dandy as well as dragging my body on the floor and spinning myself dizzy until exhaustion, C.D.B. 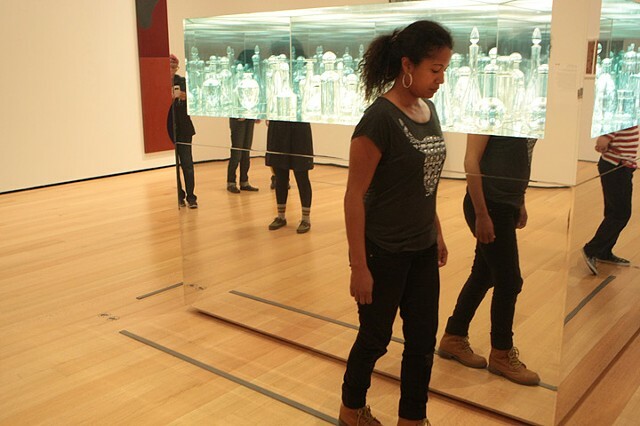 considered the bodily implications of race, ethnicity, gender, and class and how they contextually intersect with art, place, citizenship, and identity. C.D.B. openly questioned viewers fixed notions of American patriotism, modernity, product consumption, and history. Ultimately this work used the public sphere and contemporary art as vehicles for negotiating belonging while investigating the unique role that museums play in the construction of both national and global cultures.